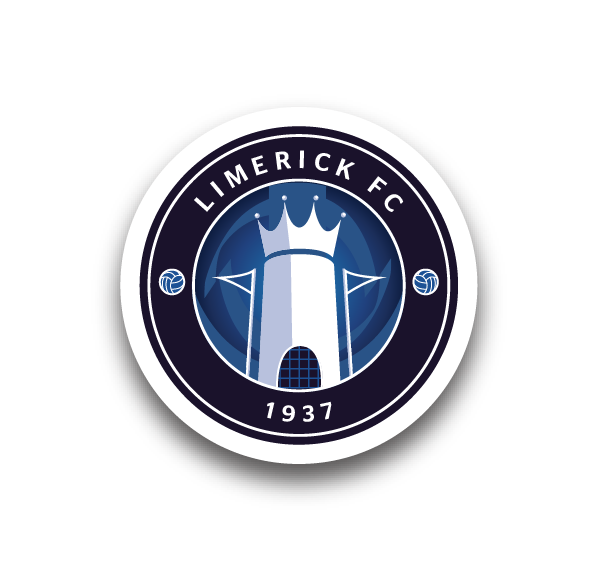 The Limerick FC Official Supporters’ Club made a number of presentations last weekend, at the game against Sligo Rovers at the Markets Field. The Player of the Month awards were announced, with captain Shane Duggan winning the May accolade and Dean Clarke collecting June’s. Presenting the awards were Junior Blues members Alex and Charlotte O’Brien. 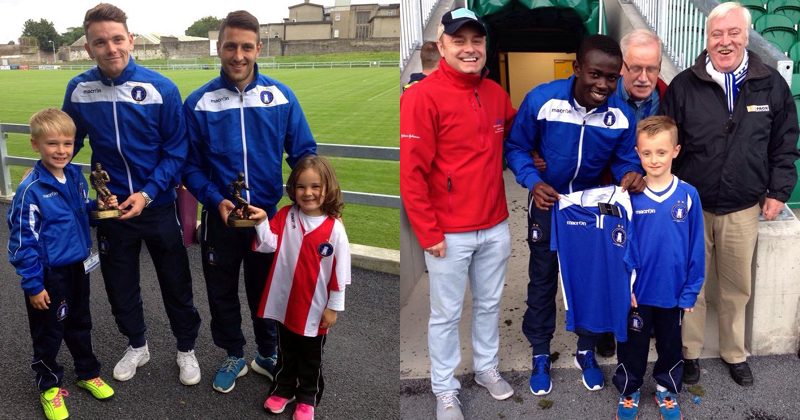 Charlie Campbell won the OSC’s colouring competition and was presented with a Limerick FC jersey by midfielder Prince Agyemang. He is pictured below with his father Glenn and granddad Peter Campbell Snr, along with club Chairman Pat O’Sullivan. Thanks to all who entered and to those who voted in the Player of the Month polls. 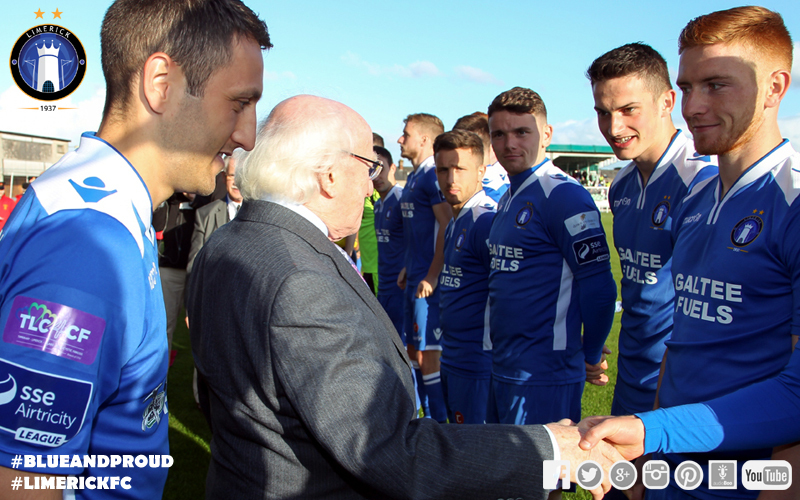 The Limerick FC Official Supporters’ Club are always inviting new members. Membership rates are: Adults €10, Students / Under-16s €5, Family €20. 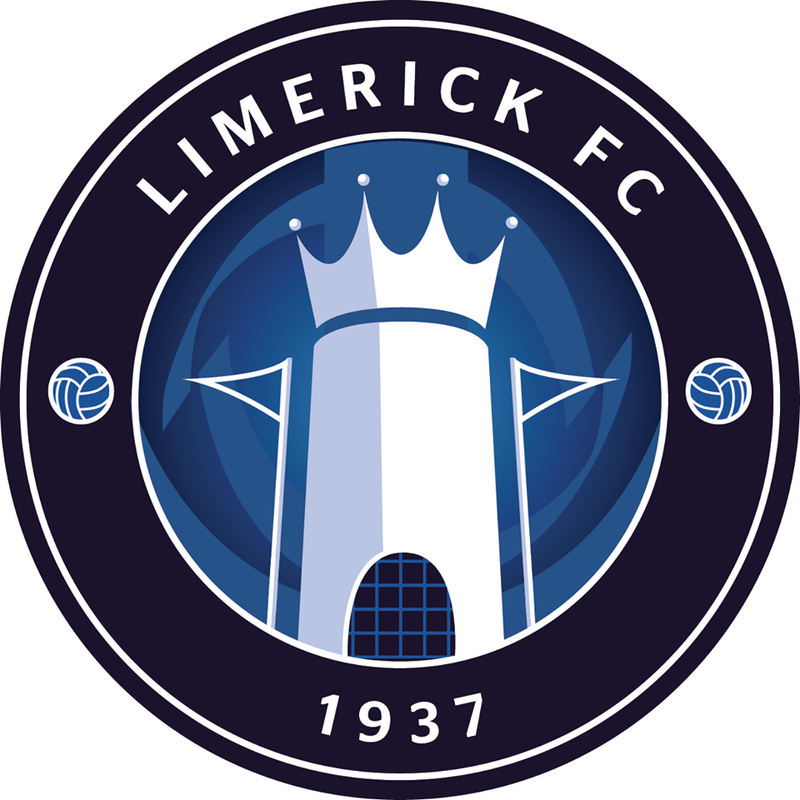 For more information e-mail supportersclub@limerickfc.ie or phone 087-1862678.